Welcome to the website of the Hangleton and Knoll Project. 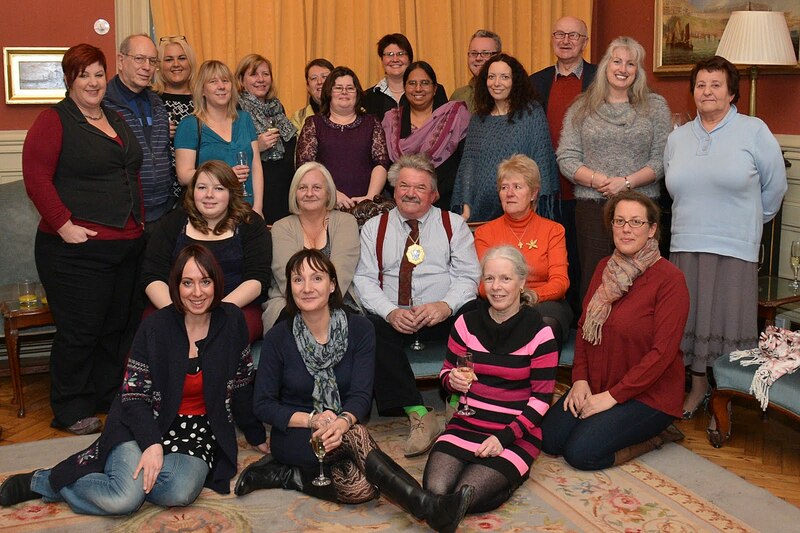 We are a Community Development charity based in the Hangleton and Knoll ward of Brighton and Hove in South East England. A part of the community since 1983 we are a project working for the community with the community and managed by the community. Right from the start local residents have shaped and developed the project to become what it is today; a model of good practice for how a community is able to develop and manage it's own resources. This website provides an overview of the Project's aims, our history, some examples of our current activities in the community and contact details should you wish to get in touch with us. 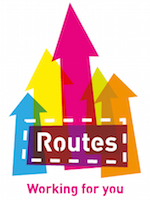 25th March 2019 : Information Advice and Guidance Worker, Routes Project VACANCY : We are seeking to appoint an experienced, motivated and effective IAG worker for the Routes Employment Project to our award winning and nationally recognised organisation. Please see our Job Vacancies page for more details and an application pack. 1st August 2018 : Our Aug/Sep newletter is now available for download Read all about our awesome new Youth Bus! 18th April 2018 : Are you 50 plus and looking for something to do in Hangleton and Knoll? Here is the revised leaflet of local groups and services. 21st January 2018 : Helen Bartlett HKP Youthworker contributed to a chapter on community youth work based on experience of successful delivery in Hangleton and Knoll. More details on the University of Brighton blog. 4th May 2017 : If you're interested in volunteering in Hangleton & Knoll community, the newsletter also contains details of a number of opportunities currently available in the area. 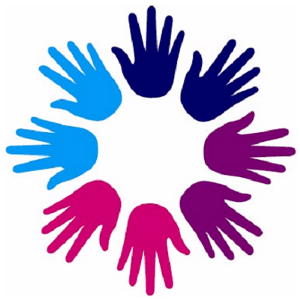 9th April 2017 : Community Development team have published their Older People's Community Development Work End of Year Report 2016-17 for download. 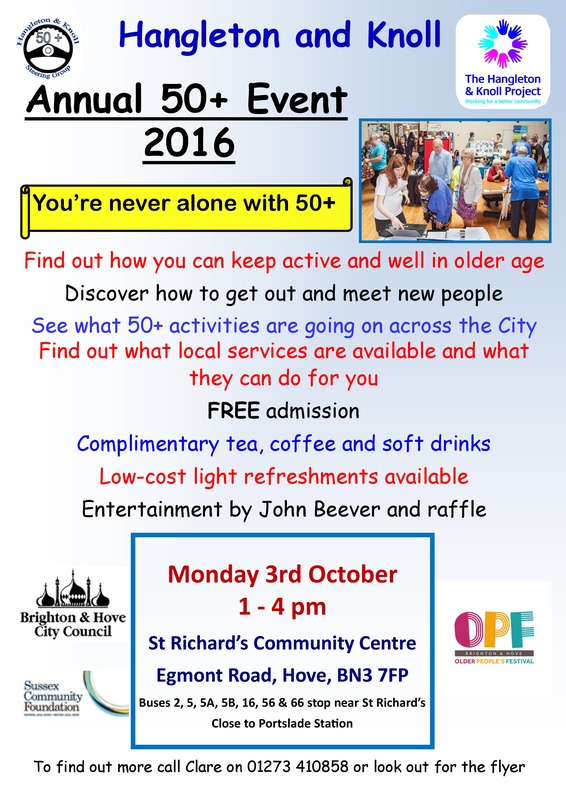 10th September 2016 : Hangleton and Knoll Older Peoples Information day in partnership with HK 50+ and Older Peoples Day will take place at St Richards, Egmont Road, 1pm-4pm on 3rd October. Find out from over 40 services and groups what's available in the City and locally for anyone over 50. Everybody welcome, free drinks and low cost refreshments. 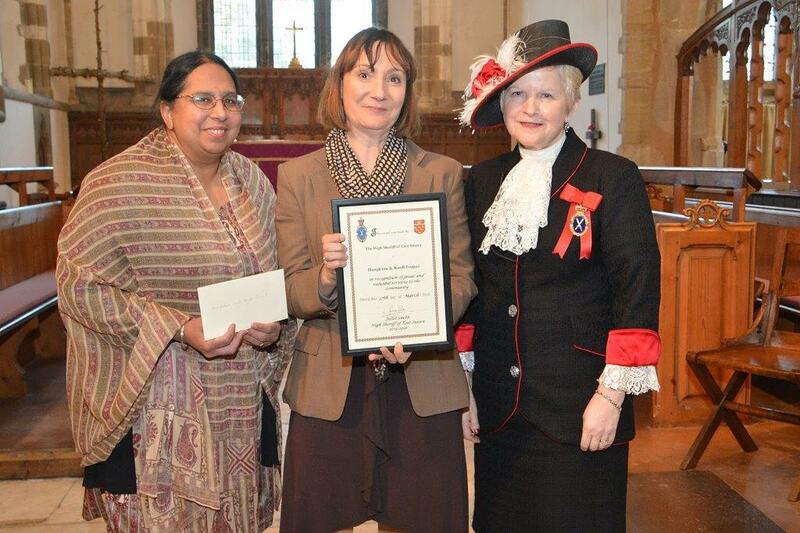 24th March 2016 : The Hangleton and Knoll Project were delighted to have been honoured by the High Sheriff of Sussex for their work in the community at a special service at St Margaret's Church Ditchling. HKP Vice Chair Raminder Gill and Joanna Martindale HKP CEO collected the award and cheque on 17th March 2016. 10th March 2016 : Over February 2016 HKP staff and volunteers undertook a questionnaire with patients of Hangleton Manor to try to ascertain the impact of the surgery potential closure. This report was produced. This local report fed into this City report pulled together by our partners CommunityWorks which detailed the results of similar exercises across other Practice PLC surgeries. 7th August 2015 : The community insight data for the Knoll estate provides a set of reports showing key social and economic indicators for that area compared to national averages. 23rd June 2015 : We are delighted and proud to announce that HKP Chair Pat Weller received the MBE in the Queens Birthday Honours in recognition of over 35 years of volunteer service in her community. 21st June 2015 : We're proud to pupblish a refreshed version of the Hangleton & Knoll project's 5 year Strategic Plan, providing a detailed description of the aims and ambitions of the Project in the coming years. 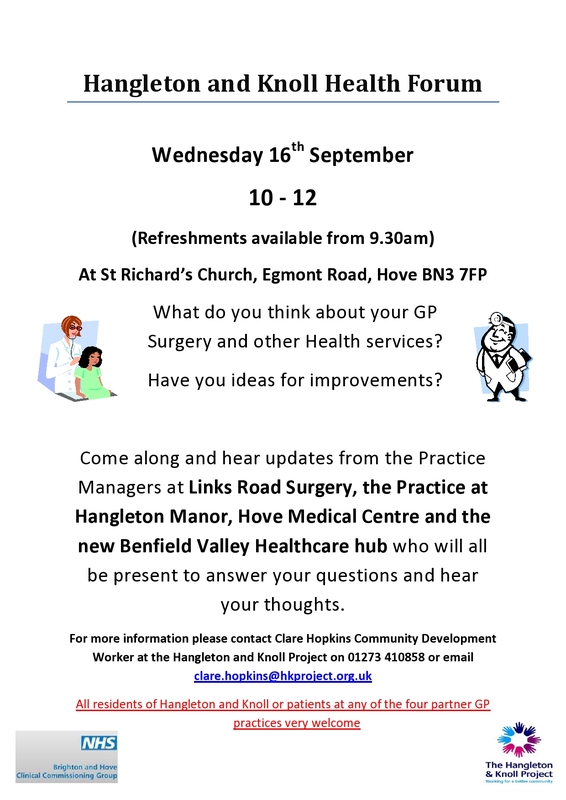 29th January 2015 : Hangleton and Knoll Health Forum Wednesday 11th February 10-12 at St Richards. Click this link for more details. 23rd November 2014 : BBC Children in Need filmed HK youthwork showcasing health impact on young women in our community. 5th November 2013 : The Hangleton & Knoll Project's youth work team publish a video "Young Women's Fashion Project" showcasing the work of the Hangleton & Knoll Young Women's Group around fashion and positive body image. 5th August 2013 : The Hangleton & Knoll Youth Manifesto website has now been launched! This initiative, supported by the Hangleton & Knoll Project provides information and a forum for young people to have their say on issues that concern them. 23rd April 2013 : Good Food project recipe book available as free download! 31st January 2013 : The Mayor of Brighton and Hove held a celebratory event at Brighton Town Hall to congratulate the Hangleton & Knoll project on receiving a national Big Society Award from the government. 9th October 2012 : Hangleton and Knoll Project wins National recognition with a Big Society award. 4th April 2012 : A report of notable achievements of our youth work team over the last 12 months is now available for download.